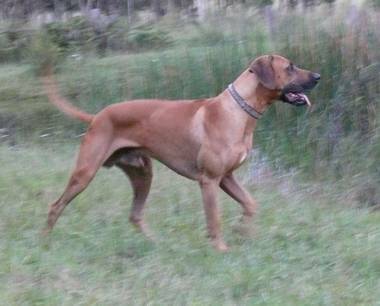 Ch Ridgesetter Celtic Pride ( S: Ch Peperone Flying Scotsman/ D: Mwandani Tyrensa ) Levi is the larrikan of the dog world. He has amused all who know him and many of those who dont with his antics. 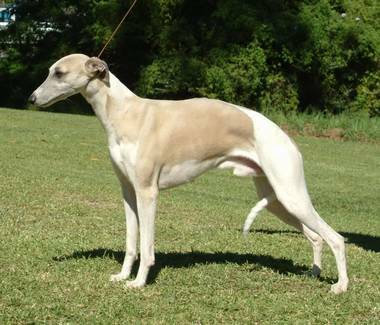 He is a multi class in group and best of breed winner. He was shown to his title by Kerbie Page enjoying many nice wins along the way. They have also enjoyed the child handler events with success. Levi has also been placed at Specialty and Royal level. He is known as the farm Overseer(self appointed) involving himself with all aspects of farm duties. 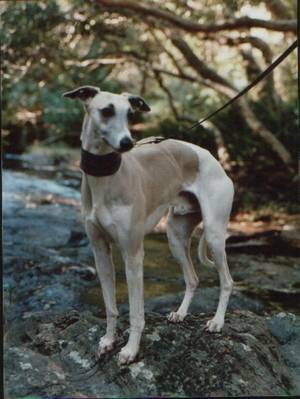 Levi is also known to frequent the Taree dog track. 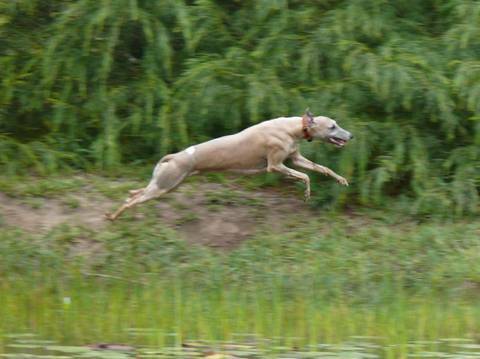 Chasing the lure is an event he loves. We would like to thank John and Toni Comerford for the oportunity to live with such a fun loving rascal. Overthetop Xmas Vanity (S:Ch Towera Justifiably Vain/ Overthetop And Blackasin). 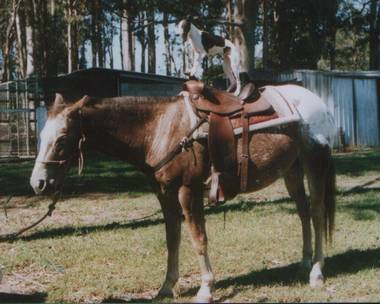 Bindy was a reluctant participant at showing, choosing to remain at home on the farm and enjoy family life. 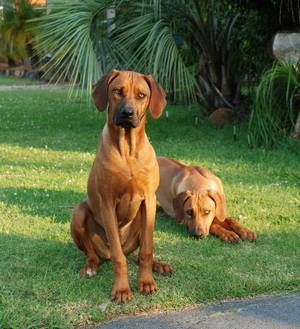 She arrived to live with us when Gypsy had a litter of puppies . Wasting no time at all, Bindy found a spare teat and joined in. 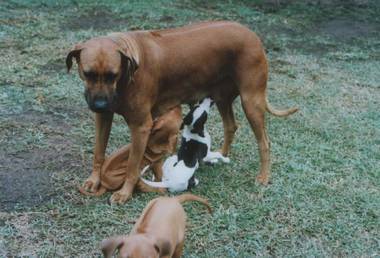 Bindy is a valued member of our puppy rearing team, priding herself on supervision of the babies once they are weaned. We would like to thank Ann Meyn for our special little hunter.